This statement was originally published as: Acupuncture. NIH Consensus Statement 1997 Nov 3-5; 15(5):1-34. For making bibliographic reference to consensus statement no. 107 in the electronic form displayed here, it is recommended that the following format be used: Acupuncture. NIH Consensus Statement Online 1997 Nov 3-5; month, day]; 15(5):1-34. The panel, answering predefined questions, developed their conclusions based on the scientific evidence presented in open forum and the scientific literature. The panel composed a draft statement, which was read in its entirety and circulated to the experts and the audience for comment. Thereafter, the panel resolved conflicting recommendations and released a revised statement at the end of the conference. The panel finalized the revisions within a few weeks after the conference. The draft statement was made available on the World Wide Web immediately following its release at the conference and was updated with the panel's final revisions. To address important issues regarding acupuncture, the NIH Office of Alternative Medicine and the NIH Office of Medical Applications of Research organized a 2-1/2-day conference to evaluate the scientific and medical data on the uses, risks, and benefits of acupuncture procedures for a variety of conditions. Cosponsors of the conference were the National Cancer Institute, the National Heart, Lung, and Blood Institute, the National Institute of Allergy and Infectious Diseases, the National Institute of Arthritis and Musculoskeletal and Skin Diseases, the National Institute of Dental Research, the National Institute on Drug Abuse, and the Office of Research on Women's Health of the NIH. The conference brought together national and international experts in the fields of acupuncture, pain, psychology, psychiatry, physical medicine and rehabilitation, drug abuse, family practice, internal medicine, health policy, epidemiology, statistics, physiology, and biophysics, as well as representatives from the public. What issues need to be addressed so that acupuncture can be appropriately incorporated into today's health care system? A commonly used control group is sham acupuncture, using techniques that are not intended to stimulate known acupuncture points. However, there is disagreement on correct needle placement. Also, particularly in the studies on pain, sham acupuncture often seems to have either intermediate effects between the placebo and 'real' acupuncture points or effects similar to those of the 'real' acupuncture points. Placement of a needle in any position elicits a biological response that complicates the interpretation of studies involving sham acupuncture. Thus, there is substantial controversy over the use of sham acupuncture in control groups. This may be less of a problem in studies not involving pain. Assessing the usefulness of a medical intervention in practice differs from assessing formal efficacy. In conventional practice, clinicians make decisions based on the characteristics of the patient, clinical experience, potential for harm, and information from colleagues and the medical literature. In addition, when more than one treatment is possible, the clinician may make the choice taking into account the patient's preferences. While it is often thought that there is substantial research evidence to support conventional medical practices, this is frequently not the case. This does not mean that these treatments are ineffective. The data in support of acupuncture are as strong as those for many accepted Western medical therapies. Despite considerable efforts to understand the anatomy and physiology of the "acupuncture points," the definition and characterization of these points remain controversial. 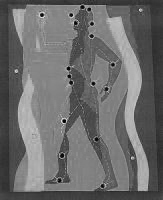 Even more elusive is the scientific basis of some of the key traditional Eastern medical concepts such as the circulation of Qi, the meridian system, and other related theories, which are difficult to reconcile with contemporary biomedical information but continue to play an important role in the evaluation of patients and the formulation of treatment in acupuncture. Some of the biological effects of acupuncture have also been observed when "sham" acupuncture points are stimulated, highlighting the importance of defining appropriate control groups in assessing biological changes purported to be due to acupuncture. Such findings raise questions regarding the specificity of these biological changes. In addition, similar biological alterations, including the release of endogenous opioids and changes in blood pressure, have been observed after painful stimuli, vigorous exercise, and/or relaxation training; it is at present unclear to what extent acupuncture shares similar biological mechanisms. It should be noted also that for any therapeutic intervention, including acupuncture, the so-called "non-specific" effects account for a substantial proportion of its effectiveness and thus should not be casually discounted. Many factors may profoundly determine therapeutic outcome, including the quality of the relationship between the clinician and the patient, the degree of trust, the expectations of the patient, the compatibility of the backgrounds and belief systems of the clinician and the patient, as well as a myriad of factors that together define the therapeutic milieu. 4. What Issues Need To Be Addressed So That Acupuncture Can Be Appropriately Incorporated Into Today's Health Care System? The integration of acupuncture into today's health care system will be facilitated by a better understanding among providers of the language and practices of both the Eastern and Western health care communities. Acupuncture focuses on a holistic, energy-based approach to the patient rather than a disease-oriented diagnostic and treatment model. The occurrence of adverse events in the practice of acupuncture has been documented to be extremely low. However, these events have occurred on rare occasions, some of which are life-threatening (e.g., pneumothorax). Therefore, appropriate safeguards for the protection of patients and consumers need to be in place. Patients should be fully informed of their treatment options, expected prognosis, relative risk, and safety practices to minimize these risks before their receipt of acupuncture. This information must be provided in a manner that is linguistically and culturally appropriate to the patient. Use of acupuncture needles should always follow FDA regulations, including use of sterile, single-use needles. It is noted that these practices are already being done by many acupuncture practitioners; however, these practices should be uniform. Recourse for patient grievance and professional censure are provided through credentialing and licensing procedures and are available through appropriate State jurisdictions. As acupuncture is incorporated into today's health care system, and further research clarifies the role of acupuncture for various health conditions, it is expected that dissemination of this information to health care practitioners, insurance providers, policymakers, and the general public will lead to more informed decisions in regard to the appropriate use of acupuncture. What Areas of Public Policy Research Can Provide Guidance for the Integration of Acupuncture Into Today's Health Care System? "The Role of Physiologic Imaging in the Investigation of the Effects of Pain and Acupuncture on Regional Cerebral Function"
"Overview of Clinical Trials on Acupuncture for Pain"
"Overview of the Efficacy of Acupuncture in the Treatment of Headache and Face and Neck Pain"
"Late-Breaking Data and Other News From the Clinical Research Symposium (CRS) on Acupuncture at NIH"
"Protective Effect of Acupuncture on Immunosuppression"
"Efficacy of Acupuncture in Treating Low Back Pain: A Systematic Review of the Literature"
"Current Utilization of Acupuncture by United States Patients"
"Acupuncture Licensure, Training, and Certification in the United States"
"Methodological and Ethical Issues in Acupuncture Research"
"Acupuncture Activates Endogenous Systems of Analgesia"
"Efficacy of Acupuncture in the Treatment of Osteoarthritis and Musculoskeletal Pain"
"Acupuncture: History, Context, and Long-Term Perspectives"
"Safety and Regulation of Acupuncture Needles and Other Devices"
"Neurological Rehabilitation: Acupuncture and Laser Acupuncture To Treat Paralysis in Stroke and Other Paralytic Conditions and Pain in Carpal Tunnel Syndrome"
"Summary of Acupuncture and Pain"
"American Acupuncture: Primary Care, Public Health, and Policy"
"Induction of Ovulation With Acupuncture"
The speakers listed above identified the following key references in developing their presentations for the consensus conference. A more complete bibliography prepared by the National Library of Medicine at NIH, along with the references below, was provided to the consensus panel for its consideration. The full NLM bibliography is available at the following Web site: http://www.nlm.nih.gov/pubs/cbm/acupuncture.html. Acupuncture treatment of alcoholic recidivism: a pilot study. Clin Exp Res 1987 ; 11:292-5. Controlled trial of acupuncture for severe recidivist alcoholism. Lancet 1989 ; 1:1435-9. Smoking cessation rates 4 years after treatment by nicotine gum and acupuncture. Prev Med 1997 Jan-Feb;26(1):25-8. Effects of acupuncture on smoking cessation or reduction for motivated smokers. Prev Med 1997 ; 26(2): 208-14. Comparison of three levels of auricular acupuncture in an outpatient substance abuse treatment program. Altern Med J 1995 ; 2(5):8-17. Acupuncture for the treatment of cocaine dependence in methadone-maintained patients. Am J Addict 1993 ; 2:194-201. Acupuncture in smoking cessation. In: Cochrane Database of Systematic Reviews [database on CDROM]. Oxford: Update Software; 1997 [updated 1996 Nov 24]. [9p.]. (The Cochrane Library; 1997 no. 2). Acupuncture in gastroscopy. Lancet 1978 ; 1(8057):182-3. Effect of transcutaneous nerve stimulation on esophageal function in normal subjects--evidence for a somatovisceral reflex. Amer J Chinese Med 1996 ; 24(2):185-92. Inhibition of acid secretion by electrical acupuncture is mediated via J-endorphin and somatostatin. Am J Physiol 1996 ; 271(34):G524-G530. The effect of acupuncture on gastrointestinal function and disorders. Am J Gastroenterol 1992 ; 87(10):1372-81. All three types of opioid receptors in the spinal cord are important for 2/15 Hz electroacupuncture analgesia. Eur J Pharmacol 1992 ; 211:203-10. A meta-analysis of acupuncture for chronic pain. Int J Epidemiol 1989 ; 18:900-6. The efficacy of a standardized acupuncture regimen compared to placebo as a treatment of pain caused by peripheral neuropathy in HIV-infected patients. CPCRA protocol 022. 1994. Cholecystokinin antisense RNA increases the analgesic effect induced by EA or low dose morphine: conversion of low responder rats into high responders. Pain 1997 ; 71:71-80. Binding sites of mu receptor increased when acupuncture analgesia was enhanced by droperidol: an autoradiographic study. Acta Pharmacologica Sinica 1995 ; 16(4):289-384. Acupuncture energetics: a clinical approach for physicians. Berkeley (CA): Medical Acupuncture Publishers; 1996. The web that has no weaver: understanding Chinese medicine. New York: Congdon & Weed; 1983. Acupuncture techniques and devices. J Altern Compl Med 1996a; 2(1):23-5. Celestial lancets. A history and rationale of acupuncture and moxa. Cambridge University Press; 1980. An overview of acupuncture. Center for Devices and Radiological Health, FDA, PHS, DHHS; May 1993. Dynamic observation on regulation of spleen lymphocyte proliferation from the traumatized rats in vitro of continued electroacupuncture. Chinese Journal of Immunology 1997 ; 13:68-70. Effect of orphanin FQ on the immune function of traumatic rats. Chinese Journal of Immunology. In press. Electroacupuncture (EA) induced attenuation of immunosuppression appearing after epidural or intrathecal injection of morphine in patients and rats. Acupunct Electrother Res Int J 1996 ; 21:177-86. Medical devices; Reclassification of acupuncture needles for the practice of acupuncture. Federal Register 1996 ; 61(236):64616-7. NIH Technology Assessment Workshop on Alternative Medicine; Acupuncture. J Alt Complement Med 1996 ; 2(1). Characteristics and complaints of patients seeking therapy at a hospital-based alternative medicine clinic. J Altern Compl Med 1997 ; 3(1):31-7. A survey of six acupuncture clinics: demographic and satisfaction data. Proceedings of the Third Symposium of the Society for Acupuncture Research. Georgetown University Medical Center. 1995 September 16-17:1-27. Use of acupuncture by American physicians. J Altn Compl Med 1997 ; 3(2):119-26. Real vs sham laser acupuncture and microamps TENS to treat carpal tunnel syndrome and worksite wrist pain: pilot study. Lasers in Surgery and Medicine 1996 ; Suppl 8:7. Electroacupuncture and postoperative pain. Br J Anaesth 1989 ; 62:258-62. Traditional Chinese acupuncture: a potentially useful antiemetic? Br Med J (Clin Res) 1986 ; 293(6547):583-4. Local anesthesia blocks the antiemetic action of P6. Clinical Pharmacology & Therapeutics 1991 ; 50(1): 78-80. Effect of stimulation of the P6 antiemetic point on postoperative nausea and vomiting. Br J Anaesth 1989 ; 63(5):612-18. Acupuncture prophylaxis of cancer chemotherapy-induced sickness. J R Soc Med 1989 ; 82(5):268-71. Positive evidence for P6 acupuncture antiemesis. Postgrad Med J 1991 ; 67(787):47-52. Efficacy of Chinese acupuncture on postoperative oral surgery pain. Oral Surg Med Oral Pathol 1995 ; 79(4):423-8. Comparative study of analgesic effect of transcutaneous nerve stimulation (TNS), electroacupuncture (EA), and meperidine in the treatment of postoperative pain. Acupunct Electrother Res 1985 ; 10(3):183-93. Comparison of the effects of acupuncture and codeine on postoperative dental pain. Anesth Analg 1977 ; 56(4):473-8. Application of low reactive-level laser therapy (LLLT) in the functional training of cerebral palsy patients. Laser Therapy 1994 ; 6:195-202. Mobilization of specific neuropeptides by peripheral stimulation of identified frequencies. News Physiol Sci 1992: 176-80. Effect of low- and high-frequency TENS on met-enkephalin-Arg-Phe and dynorphin A immunoreactivity in human lumbar CSF. Pain 1991 ; 47:295-8. Can sensory stimulation improve the functional outcome in stroke patients? Neurology 1993 ; 43:2189-92. Acupuncture in the treatment of paralysis due to central nervous system damage. J Alt Comple Med 1996 ; 2(1):211-48. Neuromuscular complications of HIV infection and its treatment. AIDS 1991 ; 5:917-26. Central opioid and dopamine activities in PCOS during induction of ovulation with electro-acupuncture. J Reprod Med (in Chinese) 1992 ; 1(1):6-19. Changes in densities of hypothalamic m opioid receptor during cupric acetate induced preovulatory LH surge in rabbit. Acta Physiol Sinica (in Chinese) 1997 ; 49(3):354-8. Release of GnRH from the MBH induced by electroacupuncture in conscious female rabbits. Acupunct Electrother Res 1994 ; 19:9-27. Changes in serum FSH, LH and ovarian follicular growth during electroacupuncture for induction of ovulation. Chin J Integrated Tradit Western Med 1995 ; 1(1):13-6. Acupuncture efficacy: a compendium of controlled clinical trials. Tarrytown (NY): Nat Acad Acu & Oriental Med; 1996. Clinical trials comparing acupuncture to biomedical standard care: a criteria-based evaluation. Compl Ther Med. In press 1997. Research issues for clinical designs. Compl Therap Med 1997 ; 5:3-7. Credibility assessment in trials of acupuncture. Compl Med Res 1990 ; 4:8-11. Placebo controls for acupuncture studies. J Roy Soc Med 1995 ; 88:199-202. The evaluation of therapeutic acupuncture: concepts and methods. Pain 1986 ; 24:1-13. Safety issues in acupuncture. J Altern Comp Med 1996 ; 2:27-31. Acupuncture adverse effects are more than occasional case reports: results from questionnaires among 1135 randomly selected doctors and 197 acupuncturists. Compl Therap Med 1996 ; 4:8-13.